Mövenpick says yes to free honeymoon nights with upscale wedding bookings. Dubai, UAE, October 6, 2016: As the wedding industry continues to grow in the Middle East, Mövenpick Hotels & Resorts has announced a new initiative to establish the hospitality company as a premium choice for both weddings and honeymoons. For every USD 5,000 spent on a wedding at participating hotels in Bahrain, Jordan, Kuwait, Saudi Arabia and the United Arab Emirates, Mövenpick will give a complimentary honeymoon night at any of its 83 hotels around the world. “Mövenpick is well-versed in the organisation, flexibility and imagination that goes into a successful wedding. Our hotels in Dubai and Al Khobar for example, are popular choices for receptions and host around 70 weddings each a year. This initiative is a way for us to draw attention to some of our other destinations and also to thank couples for choosing us,” said Toufic Tamim, Vice President Sales & Marketing, Middle East and South Asia for Mövenpick Hotels & Resorts. 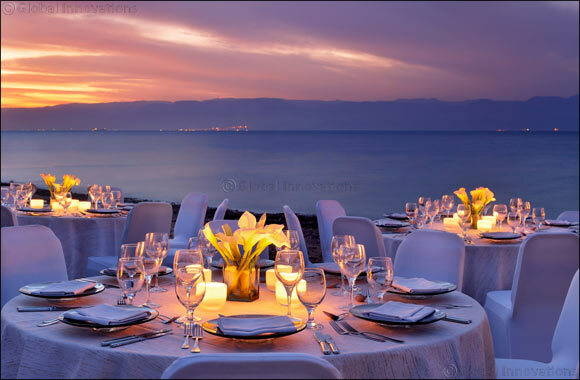 Among the options are beach weddings by the Red Sea in Tala Bay, garden parties in Aqaba and the Sunset Arena at the Dead Sea. Petra can create one-of-a-kind celebrations in the archaeological site of Little Petra. The Grand Ballroom in Riyadh can host up to 600 guests, while the Al Massa Ballroom in Qassim accommodates 900 individuals. Yanbu’s banqueting facilities can welcome 1,000 guests. Kuwait, Bahrain, Jeddah, Dubai, Al Khobar and Madinah are also participating destinations.